Tachikara is a Japanese company which is founded in the year 1915 and incorporated in the year 1920. The company’s name comes from “Tachikara-Ono-Mikoto” which is god of power in Japanese mythology. Tachikara is world’s leading company in innovative materials for sports balls and advanced manufacturing methods. In addition, Tachikara has invented seamless ball technology, therefore, it is Tachikara’s merit that we can use seamless balls today. Nowadays Tachikara ir manufacturing balls and other sports equipment. These Tachikara Zebra Knee Pads are intended for knee protection during volleyball games to prevent different knee injuries which can be caused by blows, attrition or other outer impacts during volleyball activities. It should be mentioned, that these knee pads are appropriate only for beginners and only for recreational use, therefore, it is not recommended to use them during serious volleyball trainings and competitions, because their protection may be insufficient, causing different knee injuries. 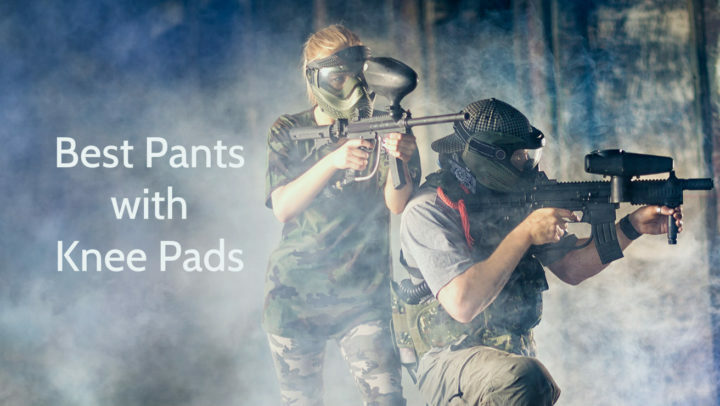 You can wear them while playing volleyball with your friends just for fun. These Tachikara knee pads have high quality cotton sleeves which provide comfortable wear and cozy feeling. Cotton as natural material does not cause irritation and sweating as most synthetic materials do. 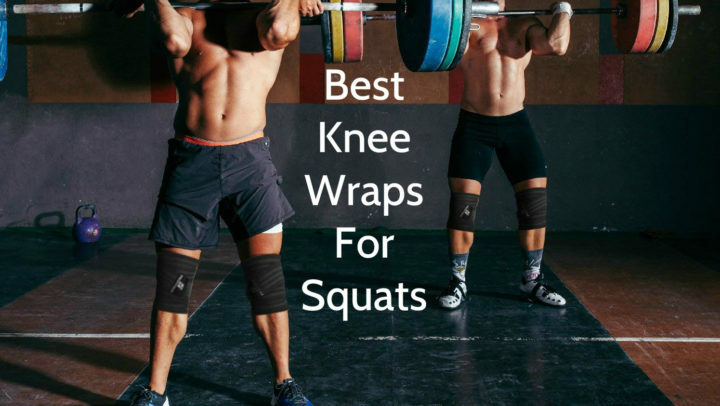 Segmented foam padding ensures flexibility and mobility, enhancing performance, and shock absorption, protecting knees against different injuries such as bumps and bruises. This foam padding protects knees against abrasions and scratches too, therefore, contact with different surfaces becomes safer. These Tachikara volleyball knee pads will not only protect your knees, but will give you some style as well – zebra print exterior adds safari-style flair to all of your practices and games. They have black segmented padding and Tachikara logo on it. These Tachikara Zebra Knee Pads are available in two sizes – S/M which is suitable for juniors and L/XL which is suitable for seniors. S/M size means that sleeves length is 8 inches, but its width is 5.25 inches. L/XL size means that sleeves length is 9 inches, but its width is 6 inches. 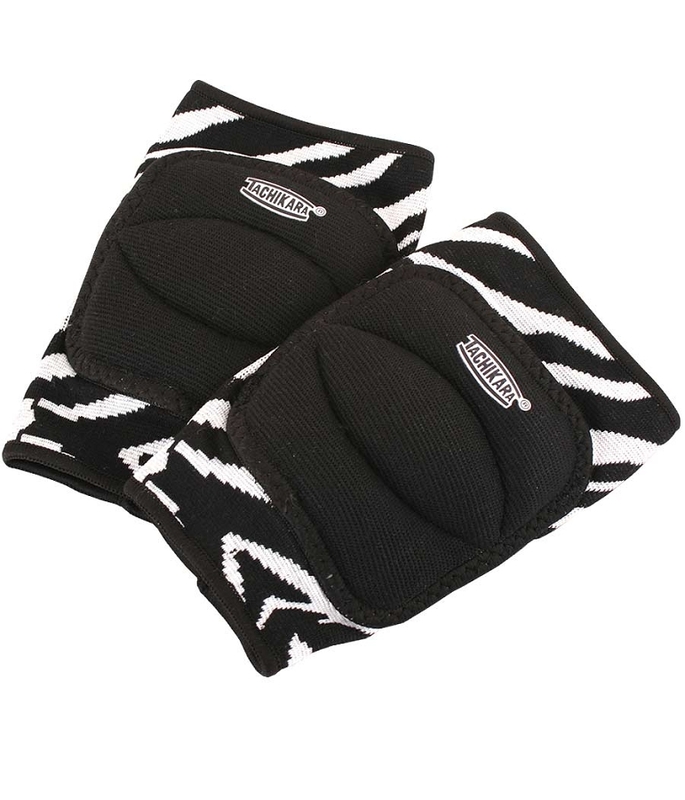 These Tachikara Zebra Knee Pads are meant for knee protection during volleyball practices and games to avoid knee injuries. These volleyball knee pads are appropriate only for beginners and only for recreational use. This product is made of polyester, rayon and elastane. These Tachikara knee pads are available in two sizes – S/M which is suitable for juniors and L/XL which is suitable for seniors, so they are suitable both for adults and youngsters. These pads come in black / white color and have features such as cotton sleeves, segmented foam padding and zebra print. They can be washed in washing machine and usually they are sold in pairs.